Home / Community Health Feature Story / What is Community Health at UNC Family Medicine? 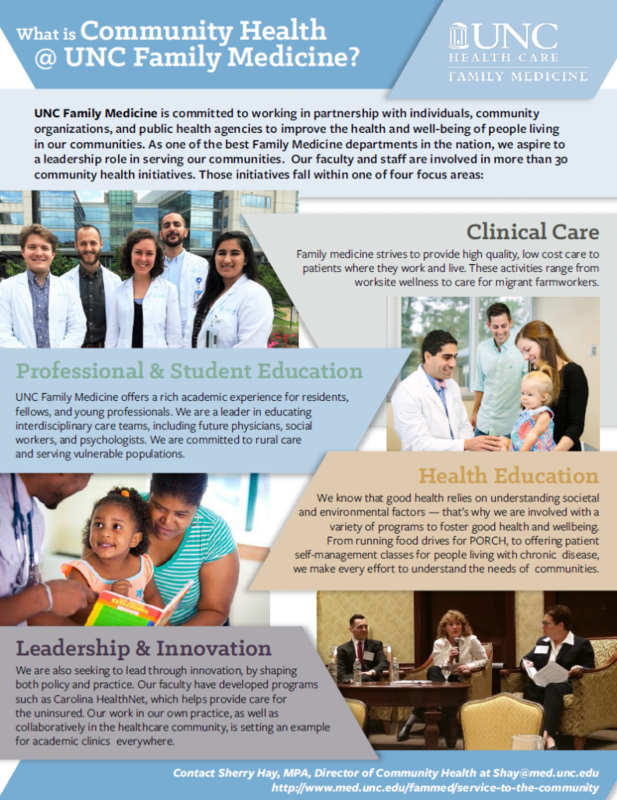 What is Community Health at UNC Family Medicine? 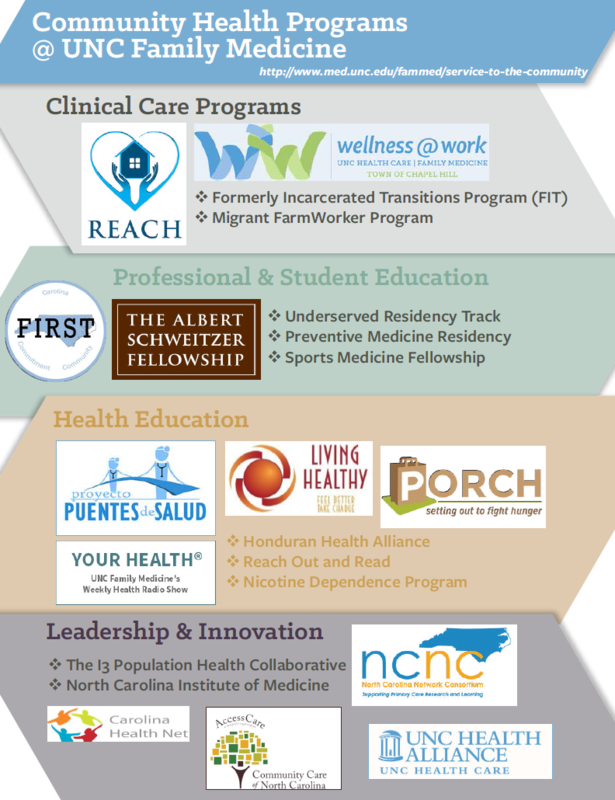 Curious about what exactly Community health means at UNC Family Medicine? We put together a one-pager to show you! UNC Nicotine Dependence Program has a new name!